Where is the legal line? The "near disastrous" changes to the SA Revenue Service (SARS) operating model under the management of suspended commissioner Tom Moyane led to a "decline in tax morality and revenue collections", the South African Institute of Professional Accountants said on Monday. Ettiene Retief, chair of the National Tax and SARS Committee at SAIPA, said in a statement that, with the annual tax filing season well underway, SARS seems to be pulling out all the stops to get back on track and to collect taxes in an efficient and effective way. 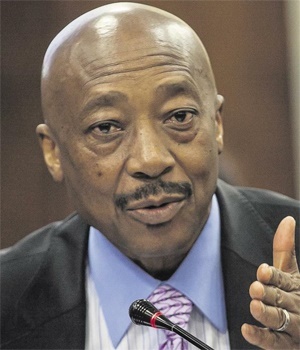 Retief said structural changes made under Moyane include the dismantling of the Large Business Centre (LBC) which focused on large and multinational companies and high net worth individuals. These two categories of taxpayers are responsible for a large chunk of the tax revenue collected by SARS. Their tax affairs are generally complex and hold risks for the fiscus if not managed properly, according to SAIPA. The reasoning behind the dismantling of the LBC was "the unnecessary duplication of resources". Retief, however, said the LBC had "a clear role to play in operational efficiency and effectiveness". In his view, transfer pricing practices in cross-border transactions offer opportunities for base erosion and profit shifting. "Surely a transfer pricing unit that can focus at that level is a far more efficient use of resources and the management of tax risks," said Retief. "Any large business will tell you how frustrating the process has become when dealing with complex matters with officials who do not have the experience to deal with it properly." SAIPA fully supports the refocus on the LBC and the re-establishment of certain functionalities which will allow SARS to collect revenue in what it foresees will be a far more efficient and effective way. "The tax affairs of rich South Africans equally require specialised skills since the risks are vastly different to that of an average taxpayer," according to SAIPA. "They generally have complex trust structures, deductions for venture capital company investments, loans and beneficial ownerships that requires a different set of auditing skills." Retief added that acting SARS commissioner Mark Kingon had vowed to "tweak things" to collect the taxes government needs. Kingon said at the start of the tax season that his team was ready to be held to a high standard. The tax agency has also redoubled its efforts to improve revenue collection and crack down on deviant taxpayers, with a recent announcement that the names of convicted tax offenders would be publicised.